The journey of life is different for every human. Some will have a traditional linear path while others are going to have pit stops and crossroads. The latter describes Marjeanna Burge’s path. Burge was one of seven children in a single-parent, fatherless home. During her adolescent years, her grandparents took her and another sibling in. Her grandfather was full-blood Comanche Native American, and he made sure she knew her heritage by having her around family and participate in traditions and events. Burge lived with her grandparents until the ninth grade and then she went back to stay with her mother in Oklahoma City. It was a challenge adapting to a big city school since she was used to the country life. But her experience at John Marshall High School was made even more overwhelming due to the racism and discrimination she also faced, Burge said. Some people want to go back and relive their high school years but not Burge. She said her memories were not great and wouldn’t do it again, but it did help shape her into the person she is today. Burge didn’t go to college directly after graduating high school in 1977. She got married, had children and started to work at Lockheed Martin. While working at Lockheed, she got divorced and was laid off from the company shortly after, but the silver lining in that, Burge said, was the company helped laid-off workers go to a college or start a business. College was the choice for Burge and she chose TCC’s South Campus to start her higher education career, but the path wasn’t as clear cut as it seemed. “I got my two-year associates on South Campus, and it was a long hard road. I had to quit and was gone for seven years before I returned back to school due to life challenges,” she said. Now as the NE intercultural student engagement coordinator, Burge said those experiences have helped her better serve students. During those several years of being off from school, Burge started to work for a nonprofit organization, which made her interested in working within professional development. 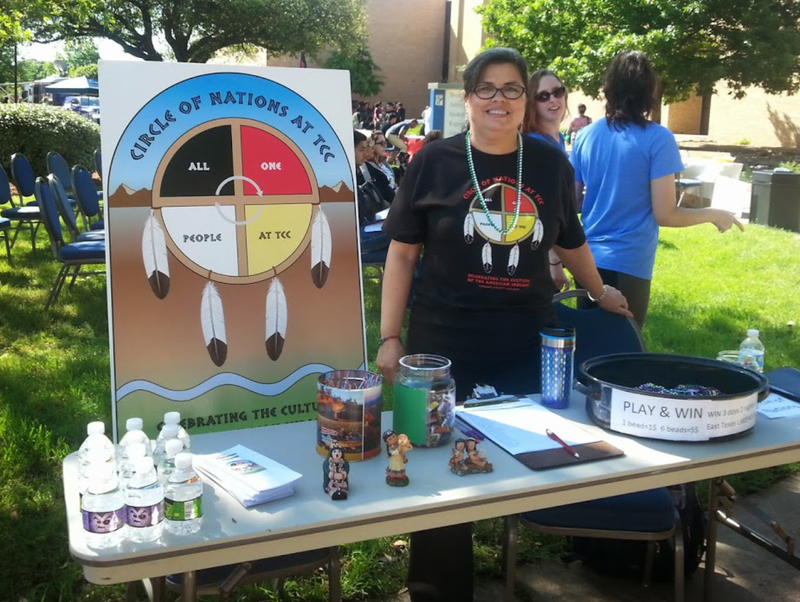 She wanted to finish her bachelor’s degree and in order to have the guidance and support she desired, Burge opted to finish her education at Haskell Indian Nation University in Lawrence, Kansas, one of the only tribal colleges in the nation. Burge said she’s always been interested in diversity and different cultures which led to her traveling across the globe to countries like Ireland and Africa participating in international think tanks for racial reconciliation in addition to talking to locals about the challenges they face.